Paolo Alberto Lodde aka Dusty Kid is undoubtedly one of his country’s most exciting electronic music exports. A native of Sardinia, Italy, Lodde is a classically trained musician and an individual who approaches house and techno like few others in his field. A live act of considerable distinction, he first emerged in the mid ‘00s courtesy of a string of rapturously received releases, the likes of which helped breathe new life in to a scene that was then preoccupied with monotonous, over-hyped minimal sounds. 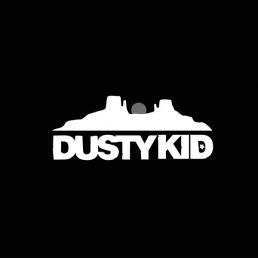 With the benefit of hindsight, Dusty Kid’s emergence was one of many sparks that helped usher in a whole new era of genuinely exciting, intricately produced electronic music that remains to this very day. An early embracer of all things musical, Lodde started playing the piano at age 4. By 10, he was studying alongside students almost twice his age. However, it was when he swapped the piano for synths and sequencers that his take on music took on a whole new approach. Heavily influenced by the likes of Jeff Mills, Underground Resistance, Jam & Spoon and Daft Punk (and free from what he perceived as the constraints of the piano), he began producing his own electronically-inclined compositions, with his first single, ‘I Found a Reason’. Boasting a nimble, dexterous and always scrupulously-produced sound aesthetic, his unique way of working quickly brought him to the attention of globally-esteemed labels a la Boxer, Systematic, Southern Fried, Bpitch Control, Suara and Mau5trap, with tracks such as ‘Kore’, ‘Milk’, ‘America’ and ‘Lynchesque’ quickly cementing his name into the hearts and minds of the global electronic music scene. 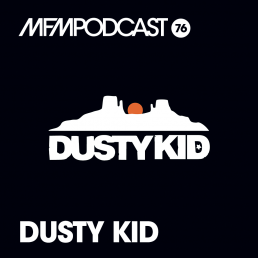 Alongside his solo releases, Dusty Kid is also an impressively consistent remixer, putting his own stamp on music by the likes of Moby, Armand Van Helden, The Pet Shop Boys, Booka Shade, Robyn and Simian Mobile Disco over the years. An endlessly consistent purveyor of up-front club fare, Lodde is just as comfortable producing techno- focused records as he is more pop-orientated records, a way of working that’s in keeping with his refreshingly unpretentious take on music. 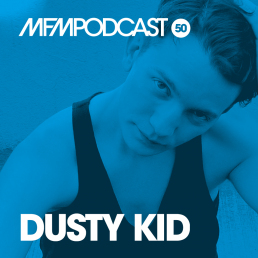 A truly versatile musician who’s never been shackled by convention, it’s Dusty Kid’s eclecticism and ability to embrace new sounds that means he continues to stick out from the crowd. A musician who continues to electrify and innovate at a rate that would make most of his peers blush, Dusty Kid truly is a talent worth embracing. This content is blocked. Please review your Privacy Preferences.